If you want to have child and cannot due to infertility, distress is a natural response. This response is seen in the mental health of both women and men with infertility experiences. But can infertility have greater effects on mental health than just distress? Do both men and women experience mental health effects due to infertility? Science suggests the answer is yes. While many think that infertility is rare, in modern times it is actually becoming more common. In fact, the Centers for Disease Control and Prevention (CDC) report that about 6% of married women between the ages of 15-44 are unable to get pregnant after one year of trying (this is known as infertility) and 12% of women in the same age group have difficulty getting pregnant or carrying a baby to term, regardless of marital status (known as impaired fecundity). However, it’s important to note that men, too, can experience infertility. In about one-third of infertility cases, physiological issues are identified in the woman, in about one-third of cases a physiological issue is identified in the man and in one-tenth of cases both the woman and the man contribute to the infertility. In about 10-20% of cases, the causes of infertility are unknown. In all, it is estimated that two million couples in the United States experience infertility at any given time. What Are the Mental Health Effects of Infertility? Infertility tends to be experienced in very negative ways. In a study of 200 couples seen consecutively at a fertility clinic, it was found that half of women and 15% of men said that infertility was the most upsetting experience of their lives. This high level of distress means that infertility weighs heavily on the mental health of both women and men. Typical reactions to finding out that one is infertile are similar to the reactions of any other substantial loss. There are other mental health effects of infertility on couples as well. Relationships may suffer, not only within the couple but also with others if the couple avoids those with children or those who offer well-meaning, but hurtful, advice on infertility. Anxiety-related sexual dysfunction is also common within couples who experience infertility. Infertility has mental health effects similar to serious illness diagnoses like cancer or hypertension. In women, both depression and anxiety are seen in both populations in similar numbers. In one study of 112 women seeking reproductive treatment, anxiety was diagnosed in 23% of the women seeking reproductive treatment while anxiety was diagnosed in only 11% of a general medical help-seeking group. Major depression was diagnosed in 17% of these women compared to 6% in others. 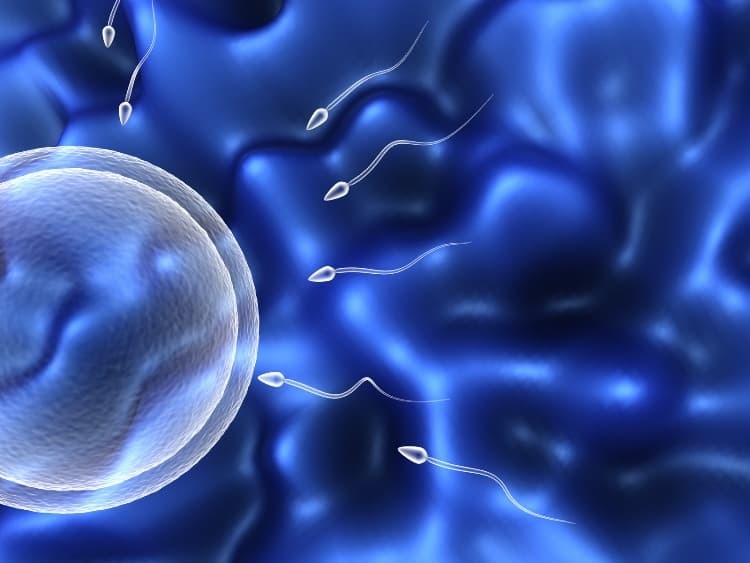 There is less study on infertility effects on men. Available research reports that men experience less distress when their partners are infertile but when men themselves are identified as infertile, they experience low self-esteem, stigma and depression just like infertile women do. Because of the lack of research, however, it is thought the effects of infertility on mental health in men are underestimated. According to Harvard Medical School, there are about 40 ways to treat infertility, including infertility drugs like letrozole (Femara). These medical treatments offer great hope to couples wanting to conceive but, unfortunately, they may also contribute to the negative mental health effects already being experienced due to infertility. Studies show that infertility treatments are associated with the mental health issues of greater stress, anxiety and grief. Moreover, accessing infertility treatments can also be distressing due to prohibitive costs and little insurance coverage. Those who can’t access these treatments may feel additional helplessness and hopelessness. It’s worth noting some studies say that addressing the mental health effects of infertility may help increase the chances of giving birth. For this reason, couples experiencing infertility should ideally be counseled as soon as infertility treatment is sought. Centers for Disease Control and Prevention, Reproductive Health, Frequently Asked Questions. April 18, 2018. Harvard Health Publishing, The Psychological Impact of Infertility and Its Treatment. May 2009. Macaluso, Maurizio et al, A Public Health Focus on Infertility Prevention, Detection, and Management. Centers for Disease Control and Prevention. September 8, 2008.